Garson, G. D. (2015). Structural Equation Modeling. Asheboro, NC: Statistical Associates Publishers. 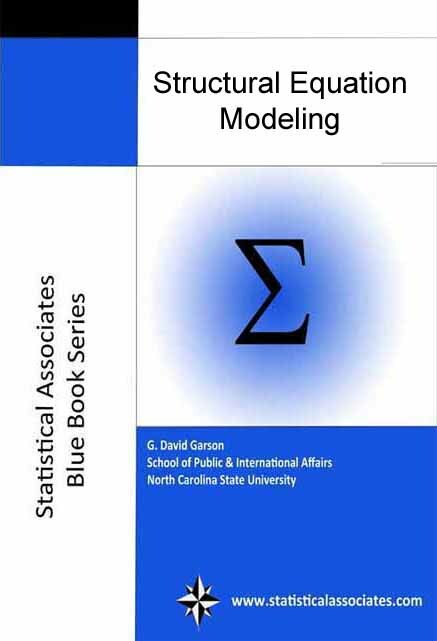 @c 2015 by G. David Garson and Statistical Associates Publishers. worldwide rights reserved in all languages and on all media. Permission is not granted to copy, distribute, or post e-books or passwords. An illustrated tutorial and introduction to structural equation modeling using SPSS AMOS, SAS PROC CALIS, and Stata sem and gsem commands for examples. Suitable for introductory graduate-level study. Links to all datasets used in the text.